Nepal has thousands of huge glaciers and as a result huge quantities of water thunder down the hills throughout the year. The Rivers make for challenging rapids, which make any rafting trip in Nepal an exhilarating challenge. 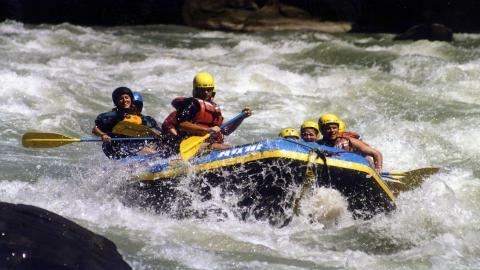 There are rivers all over Nepal suitable for white water rafting. Among the rafting packages, there are: 1-3 days Trishuli river rafting, 1-2 days Seti river rafting, 1-2 days Bhote Koshi river rafting, 1-3 days Kali Gandaki river rafting, 4 days Marsyandi river rafting, 7-9 days Sun Koshi river rafting, 9 days Arun river rafting, 10 days Karnali river rafting, 11 days Tamur river rafting. The rivers are also suitable for Kayaking. 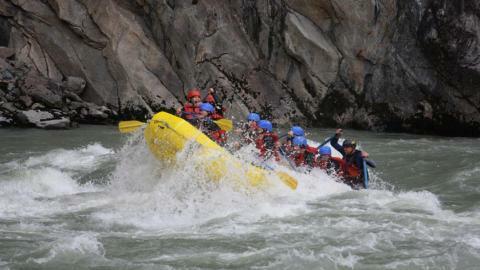 The river trips offer beautiful views, challenging rapids and a thrilling way to experiance Nepal. 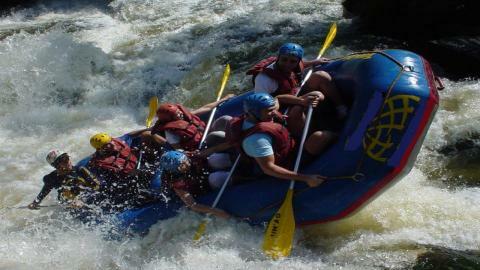 We can combine your rafting package with the trekking and other activities. For more information, please contact Namaste Treks.